Happy New Year and welcome to our first Question of the Week email of 2018! I don't usually advertise computers in the QOTW email, but we have an awesome deal on a 17.3" computer and I just couldn't resist including it. There are only 7 available, though, so if you're interested, please call as soon as possible. For those on the Treasure Coast, our next seminar info is listed below. Finally, our Question is an important one for Windows users. Please take the time to read through it. 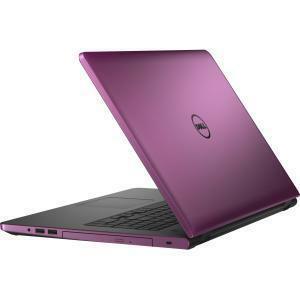 Dell 17.3" Laptop 8GB RAM 1TB Hard Drive AMD Quad-core processor. If you are interested, please call us at 772-408-4425 as soon as possible. We close at 4:00 p.m. today so if you call after that, leave a message and we'll call back. This laptop is $399 + tax. If you need us to set it up and transfer data, we'll take $20 off our normal new computer set up charge. If you live on the Treasure Coast, our January seminar will be on Saturday, January 13, 2018. The cost is still just $8 a person and there'll be coffee, tea, juice, donuts and other goodies so come a few minutes early! The subject is: "A Balmy Gate" and it will be from 10:00 a.m.-12 Noon at Trinity United Methodist Church in Jensen Beach, FL. (Click on the picture above to get directions, etc.) You can find an outline of what we plan to cover by visiting our seminar page which you'll find HERE. Question: "It seems like my Windows 10 computer is constantly updating. What's with that? I don't remember Windows 7 updating so much." Answer: First, let me apologize to my Mac users as this question covers Windows machines only. Many years ago, Microsoft - at the urging of IT guys who were handling hundreds or even thousands of computers - delivered security updates on the second Tuesday of the month. The only time they deviated from the schedule was if there was an "emergency" update to cover some major security flaw which had been uncovered and was being used by hackers. This system worked pretty well until we moved to the age of "zero day exploits." (In plain English, this means that hackers often compromise computers the very day a security flaw is uncovered.) With Microsoft's old system, theoretically, a computer could be vulnerable for 30 days until the next round of updates on the second Tuesday of the month. In an effort to make Windows 10 the most secure Windows operating system ever, Microsoft dropped the once-a-month update release in favor of pushing out a security update whenever it was ready to go. In other words, it's not just your imagination that updates are coming out more frequently-they really are!